These bearing cassettes offer adjustable ride heights for dialing in your chassis cross weight to the exact settings you are looking for. They work with both 40mm and 50mm axles with 3 bolt cassette mounting. These bearing cassettes can only be used with the 2011 Brava 1.11 and 1.11ck or later models with either a 40mm or 50mm bearing. They utilize a 6-bolt mounting system to provide an extra level of adjust-ability to the chassis. 40mm WK billet aluminum brake hub for all 40mm axle applications. Brilliant red anodized finish. This 40mm wheel hub is manufactured from billet aluminum and is layed out in a 3.58 'Euro' mount pattern. It features a pilot lip on the end of the hub that is removable if you need to go narrower on the axle. 65mm in length. 40mm WK billet aluminum sprocket hub for all 40mm axle applications. Brilliant red anodized finish. This lightweight brake hub is designed to be used with a 40mm rear axle and a 4 bolt brake rotor. It comes in a brilliant polished finish. These split bearing cassettes are for the use of 40mm or 50mm axle bearings in the older 3 bolt cassette mounting chassis. They are split at the top to provide adjustable tension on the bearing itself. This bearing hanger is designed for use on 1.125" or 28mm diameter tubing and for the 40/50mm 3-bolt bearing cassette. It can also be used with the 40/50mm adjustable bearing cassette. This is the standard hanger on the 2002-2010 Brava karts, and the 2011+ Brava 4.2c and Ignite K3. These will need to be welded to the frame. These 40mm axle bearing provide a tight fit and a smooth roll with as little tension as possible. They come with the two set screws to help keep the axle from spinning. Split piece aluminum locking collars - made to hold your axle, wheel hubs, sprocket and brake hubs in place! Keep your components in place and spinning when they are supposed to with these axle keys for the 40mm and 50mm Righetti Axles. 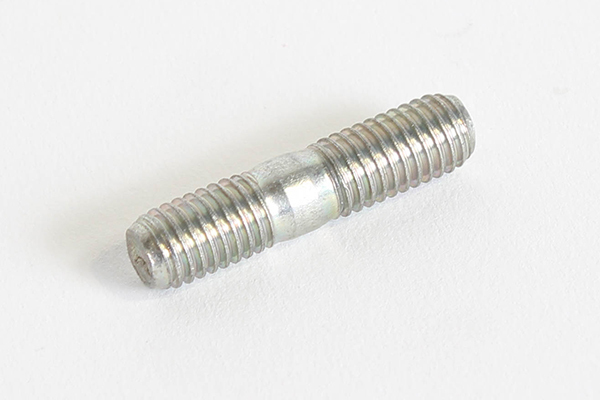 Bearing cassette mount bolts are a M10 x 1.5, pan head bolt. No conical or flat washers are needed. Comes in a bright blue zinc finish.